Aid climbing? That's when they attach a rope to your harness and someone pulls you completely up the cliff, right? No, that's called "climbing for billionaires". After becoming more serious about training and pushing my personal climbing to its highest level, we decided to visit Yosemite again as a part of American Alpine Club’s International Climber Meet last fall. It changed my perspective about what’s possible. We spent a week climbing single pitch cracks, learning about the gear placements and anchors, practicing off-width climbing techniques, and doing easy classics like Nutcracker and the East Buttress of the Middle Cathedral. After that week, climbing El Cap seemed achievable because we had a better idea what it will take to get ready. The next question? How do a 42-year-old hanging from his mid-life crisis by the skin of his sore fingers, and a young climber with an unfortunate passion for sugary cocktails and American cuisine, get ready for something like this? Here are four steps we decided to tackle in the year before returning to Yosemite. Learn how to aid climb. Most of the routes in El Cap are aided. Without solid technique and reasonable speed, you can forget about it. Crack climbing. We are both good face and slab climbers, which is also requirement for El Cap, but cracks are something we have little experience with. Increase Endurance. Climbing El Cap for three or four days, hauling 150 pounds of gear up 3000 ft will be difficult. The largest challenge? We both live in NYC, have full time jobs, kids and families, and can visit Yosemite once a year for a week or two, at most. Our window for success hangs by a thread. How do you get ready for El Cap? This article details step one, with more will follow. There are many types of climbing. Free, or “sport” climbing, is propelling yourself up the rock with hands and feet, supported by a rope in case you fall. 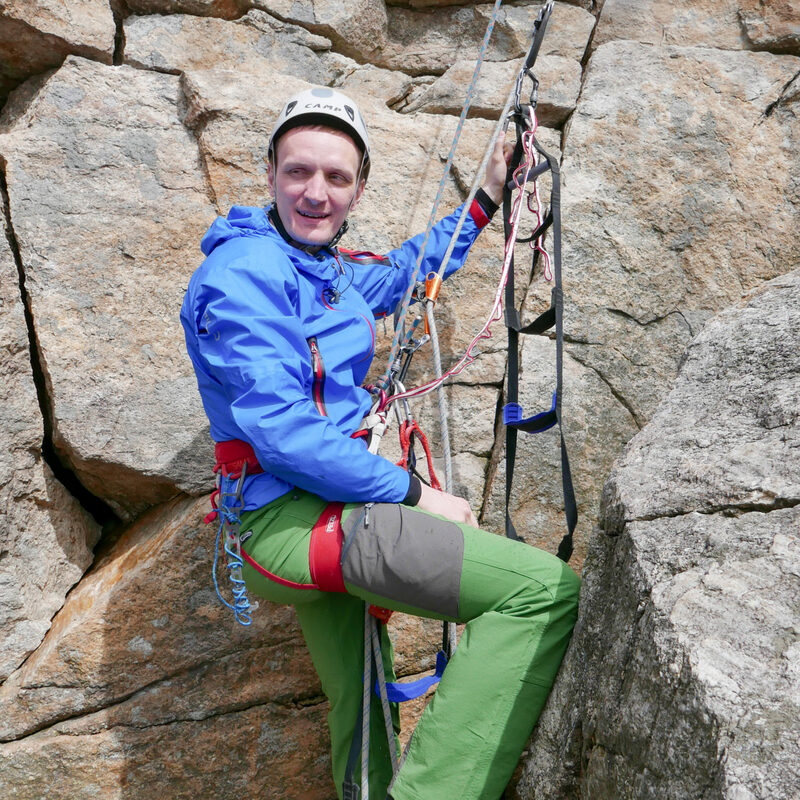 “Trad” climbing requires you place your own safety equipment in the rock, rather than the pre-set bolts sport climbers are used to. In a nutshell, aid climbing means you use technical gear like pitons or nylon foot ladders to ascend a route. Of all climbing’s varieties, aid climbing is the most frowned-upon by experienced climbers – you either climb free or you don’t. To me, aid climbing was for the 60+ year old guys we used to meet at our Alpine Club gathering, in Croatia. Forget about Yosemite’s big wall if you cannot aid. Yosemite is the most beautiful place in the world to climb, you have to familiarize yourself with aid if you are serious about climbing the park. It opens up new sets of routes you can climb. I got stuck at 5.9. or 5.10. trad climbs because I wasn’t confident onsighting 5.10+ trad. Onsighting, if you’re not heavy into climbing jargon, is a clean ascent without studying the route beta beforehand. With aid you can climb hard routes, set them up on top rope, practice, and then go for redpoint – climbing a route without mistakes after a practice or previous ascent. The number of multi-pitches you can climb will grow 10x. There are plenty of routes with a majority of pitches between 5.6 – 5.10, and one pitch or series of moves around 5.11 or 5.12. With aid climbing its’s no longer an issue. Stick the cam into the crack, step into your lightweight Petzl etrier – a 4 – 5 step nylon ladder – and you’ve passed it in no time with little stress. When I realized these three things, I saw climbing hard routes in The Gunks and Yosemite as completely within my reach. I’ll do all the classics, and tackle some of the best big wall routes over next year or two. How to learn aid climbing in NYC? Perica is smiling now, but he has no idea he’s holding 1% of the aid climbing gear. We decided to cut the corner here and take a lesson. I’m to old to spend next few years figuring this stuff out and my life thought me that sometimes asking for help actually goes into your advantage :). Alpine Endeavors is one of the few guiding companies in The Gunks, and they guide near-everything related to climbing in the region. This includes private guiding to groups lessons. Also, they’re the only outfitter that has a permit to climb at Skytop Cliff. This area was closed for public climbing in early 80s. We called and booked their Big Wall Skills Training class because it was a perfect match to push our climbing goals forward. Big wall climbing baby! Our guide for the day was Eric. We met at Rock and Snow in New Platz, signed our waivers, and picked up our gear for the class. On our way to the cliff, Eric told us about his experience climbing El Capitan’s famous Nose route, and bunch of other routes in Zion. We enjoyed his company, and were happy to be with someone who shared excitement for our big Yosemite goal. Eric set up a top rope so we’d be safe while learning to work with this new gear for the first time. In the meantime, I stood there frozen holding the etriers, silently cursing to myself. I couldn’t believe the amount of gear I’d need to climb a 45 foot route. This distance is peanuts in climbing terms. At that point, I felt I’d rather free solo the route, and risk a fatal fall, than try to figure out all this crap. Viktor’s inner sport climber is fighting the thought of climbing with so much gear. Once on the wall, I had to figure out how to use the ladder, skyhook, and step into it with my full weight. I couldn’t stop thinking about how this would feel without a top rope, hanging out on a tiny .3 cam a few thousand feet up on El Cap. This first step was pretty scary, but once I figured out how well the etrier holds I was stepping and placing cams at a relaxed but quick pace. When sport climbing, both the leader and follower are climbing the route “free”. I thought this would be similar in aid climbing, but no. To save time and energy, the follower climbs up the rope using jumars or another other ascending device. While working their way up the wall, the follower also collects all the protection left by the leader. We were ready to go aid some roofs – rocky overhangs that jut from the cliffs – but Eric insisted we learn how to jumar on easier, non vertical slabs. At that point, we’d accepted we wouldn’t see much excitement by the end of the day. It turns out aiding slab is a useful skill to master and it takes time to master. On most of the El Cap routes, and on The Nose, quite a few pitches are slabs. Time is everything on El Cap, so you’ll waste precious energy without learning to conquer these sections. Every additional minute is one closer to forcing you back down before you finish the route, often because you ran out of food or water. With Yosemite in our minds, we accepted the challenge and started racing up the route. Multi-day, multi-pitch climbs like El Cap require more equipment than your run-of-the-mill climb. In addition to technique, you must get used to dragging dozens of pounds of gear up the wall. The gear bag you bring up the wall is called a “pig”. Why? I have no idea. Based on my youth in Croatia, it’s probably to haul up all your cured meat :). The last thing we learned was how to haul our 100 lb pig efficiently up the wall. For all the sh*t I gave aid climbers over the years, we had a surprisingly great time. Eric was a cool guy and we definitely learned a lot from his instruction. I’d dare to say we saved ourselves months of figuring out this side of climbing on our own, and by doing so gave ourselves a higher chance on succeeding on our first attempt of climbing El Cap. Eric also helped us put together a training plan for our Yosemite ascent. He provided a solid list of routes we can climb in The Gunks and Zion to polish our skills. We were excited we could do a bulk of our training upstate, and arrive at Yosemite in pretty good shape. More aid climbing. There are a couple of big roofs at Gunks that we plan to conquer. Check back to see if we were satisfied with our performance. Mastering crack climbing. Yosemite has a large crack problem, and coming down isn’t an option. Will we get stuck and start new lives on the rock? 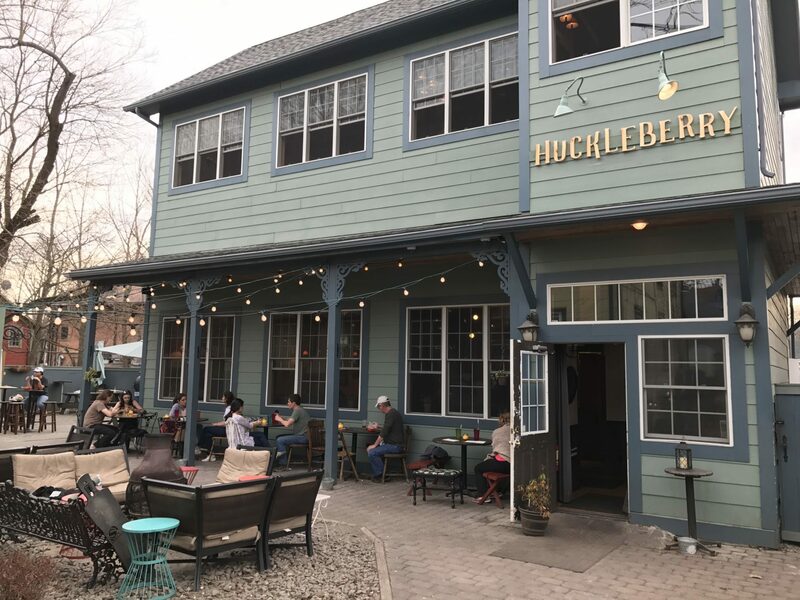 Huckleberry is one of our favorite restaurants period, let alone around The Gunks. The Chicken Banh Mi is a killer sandwich on an otherwise American menu. Paired with a Cane Life Imperial Stout, you'll forget all about that tiny mistake on the wall. 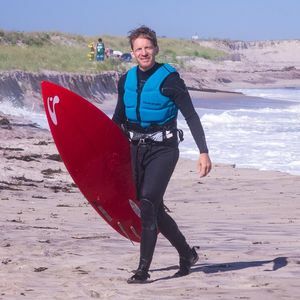 Equipment Provided: All technical equipment is provided, but personal gear is recommended if you have it.